Your siding protects the four corners of your home against Mother Nature. It helps keep your home pleasantly cool in summer while keeping your utility bills low in winter. Since it occupies most of your exterior’s space, it plays a huge role in increasing your home’s curb appeal. Considering how big a deal your siding system is to your home, it pays to replace your underperforming panels with the right solution. But before all else, you will need to hire the right contractor. Some companies specialize in just one material, while others are jacks of all trades. 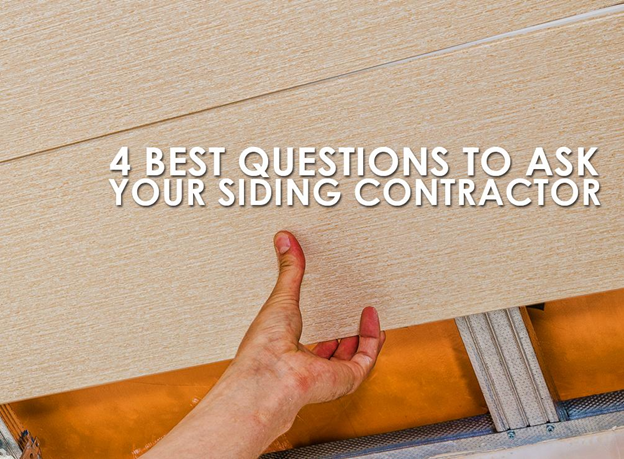 The key is to hire someone that’s adept at the siding solution you want. At Peak Roofing Contractors, we can install almost every imaginable siding system there is. We want to provide you with different material options to help you buy the apt solution for your home. But unlike many siding contractors in Manassas, VA, we’re a CertainTeed 5-Star Siding Contractor. This speaks of our proficiency at installing today’s systems, particularly CertainTeed’s vinyl siding products. Insurance spares you from any liability should someone get hurt while working on your home. It also ensures you’d receive rightful compensation in case of property damage. Our company isn’t just adequately insured, but also properly licensed and bonded. We carry liability and workers’ compensation coverage, as well as maintain a Class A Contractor’s License—the highest level for any building contractor in Virginia. Apart from doing background checks on our employees, you can file a claim on the bond in case you feel that our staff took anything from your home or we left your project unfinished. Are You a Member of Any Group? Membership in any reputable association speaks of the siding company’s commitment to excellence. Building associations and third party review companies have strict standards to weed out mediocre remodeling firms and help consumers hire the right team. Among many groups, Peak Roofing Contractors is a proud member of GuildQuality and a lead-safe, EPA-certified company. The former demonstrates our dedication to providing outstanding customer service, while the latter refers to our stewardship of green building practices. Can You Estimate How Long the Job Will Take? The length of your project depends on many things. The style of your siding, structural challenges, addition installation requests like new gutters in Manassas, VA, and severe weather are some of the factors that could cause the job to finish longer than usual. For more questions and concerns, get in touch with Peak Roofing Contractors anytime. Call us at (703) 745-5153, and we’ll be more than happy to assist you.